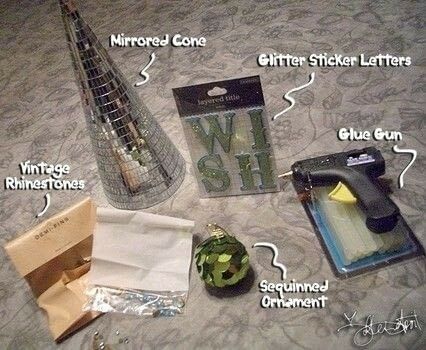 - Remove any cord/ribbon from the top of the mirrored cone and ornament. - Turning the ornament upside down, use hot glue to secure it to the top of the cone. - The scrapbook letters should already have sticky foam squares on the back of each letter. 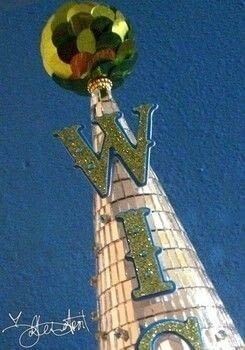 Arrange letters on the cone to suit your taste, and use a touch of glue from the glue gun where needed to secure the letters to the cone. Stick rhinestones to the cone with drops of glue from the glue gun. I went with a swirly curve up the front on each side of the letters. 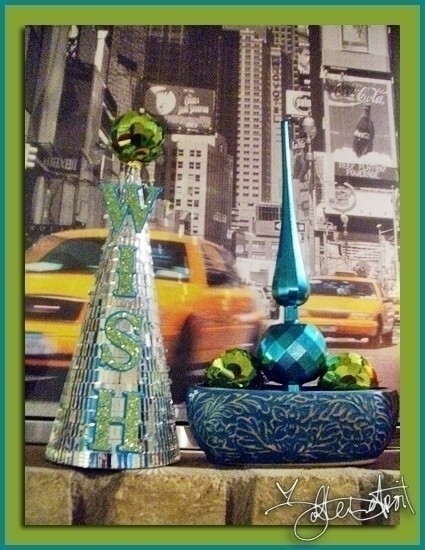 Make a WISH and enjoy your new holiday decoration! Perfect for centerpieces or the mantel!